Despite the name, a coffee cake typically contains no coffee. They are sweet cakes often served with coffee or tea and eaten for breakfast or brunch. Some are yeasted and some are not. Since I am still a yeast virgin, this is of the latter persuasion. This coffee cake is perfect any time of year since it’s made with dried fruit and nuts. I used dried cherries and walnuts but feel free to experiment. Dried cranberries with pecans or maybe dried pineapple with macadamia nuts would be nice combinations too. My favorite part of this coffee cake is the streusel topping. From the German for "something strewn together", this streusel is most definitely thrown together and very easily too I might add. Brown sugar and nuts bound by flour and butter form a cookie like topping for the coffee cake. And since I used a muffin pan to make miniature coffee cakes, each one has it's very own cookie top with lots of crispy edges. Preheat oven to 350F. Line with paper liners or butter and flour 24 (4-ounce capacity) wells of a muffin pan. Mix flour, sugar, and walnuts in a bowl. Add the butter and, using a pastry blender or your fingers, cut or rub in the butter until coarse crumbs form. 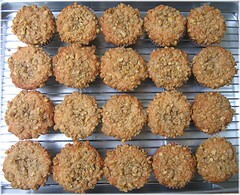 Place streusel in freezer while making the batter. Sift together flour, baking powder, baking soda, and salt. Set aside. In a large bowl, whisk butter, sugar, eggs, yogurt, and vanilla until smooth. Add flour mixture and mix until just incorporated. Gently fold in cherries and walnuts. Divide batter evenly among the 24 wells. Sprinkle each generously with the streusel topping. Bake until tops are golden brown, about 20 minutes. Cool in pan for 5 minutes then transfer to cooling rack. *I used Greek style honey yogurt but plain yogurt is fine too. Also, you can use sour cream instead of yogurt. Hello, your Streusel Cake looks great! I will try the receipe next weekend! yummo! I love anything with a crunchy top. Just gorgeous Mary. Divine! I love streusel topping on muffins and cakes, and these cherry and walnut delights look like they'd sure please my tastebuds! They look so good. I just had breakfast bu I could do it again! 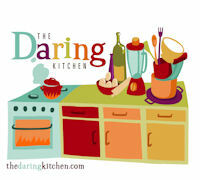 I have made your lemon bars yesterday for a dinner party and everybody raved! There minicakes look delicious, Mary! They look delicious! I really liked your "yeast virgin" comment. I love how the top looks. I could use one of those on such a rainy day that we are having. Cherries are a welcome addition to anything! Funny, I wonder why they are called coffee cakes then! I would love to try one! 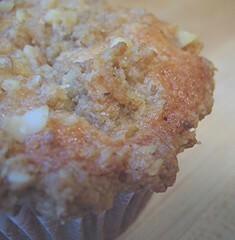 The streusel part is definitely nice! These look so yummylicious! Love the streusel topping. These looks so pretty, I love how the color on the cups brings out the texture of the cake. I'm interested in trying your coffee cake...does work up well in a bundt cake pan? Anonymous - I'm not sure if this'll work in a bundt pan since the best part is the streusel topping. Since bundt cakes are typically flipped upside down the streusel would be on the bottom. But I think it could work in loaf pans.